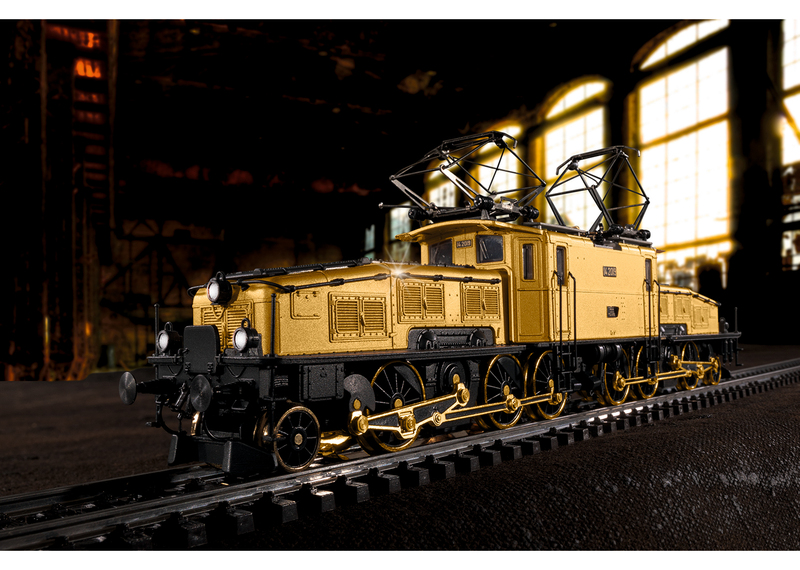 One hundred years ago in November of 1919, the Swiss Federal Railways (SBB) placed the first „Crocodile“ into operation. 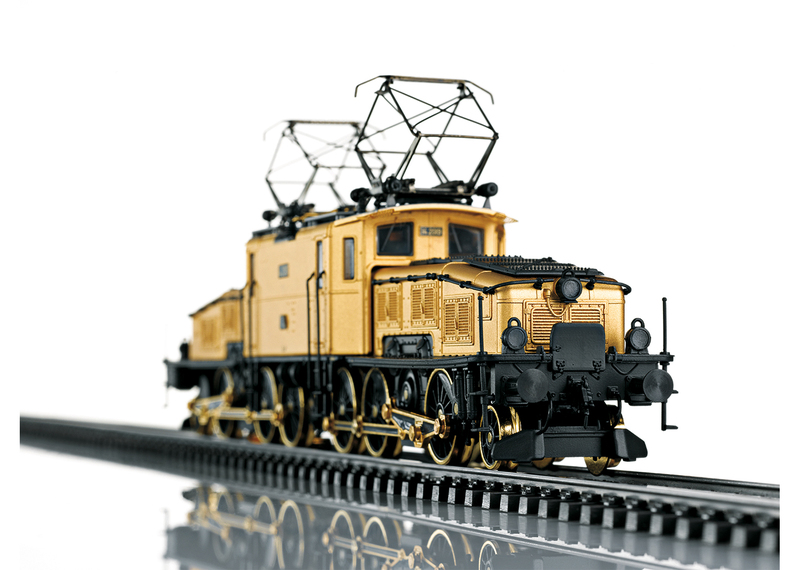 This locomotive quickly advanced to the position of king on the Gotthard‘s steep grades. 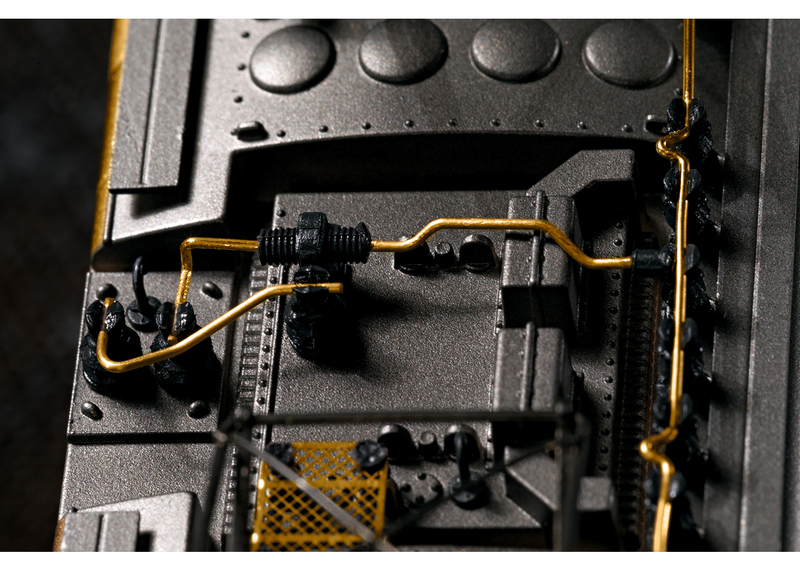 Its name was derived from the design (hood parts mounted with articulation, elongated shape) and the color green. 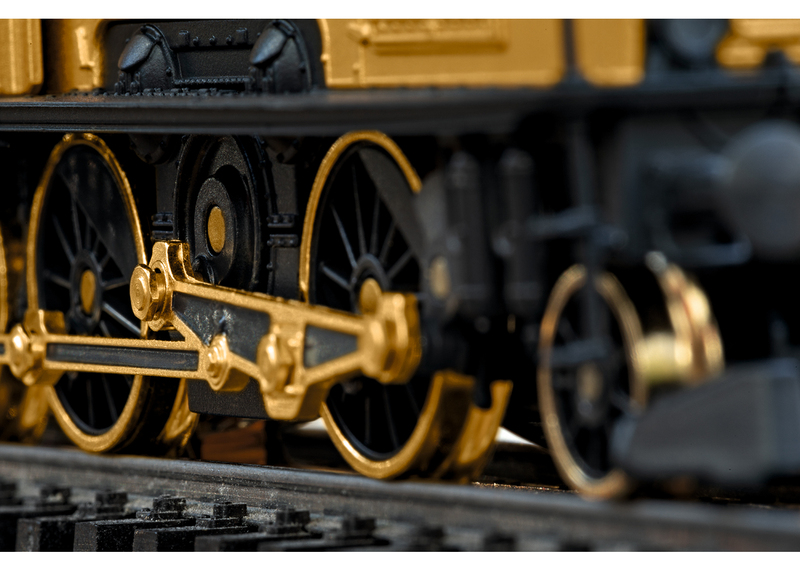 When operated through turnout combinations and reverse curves the unit „snaked“ through the curves like a reptile. 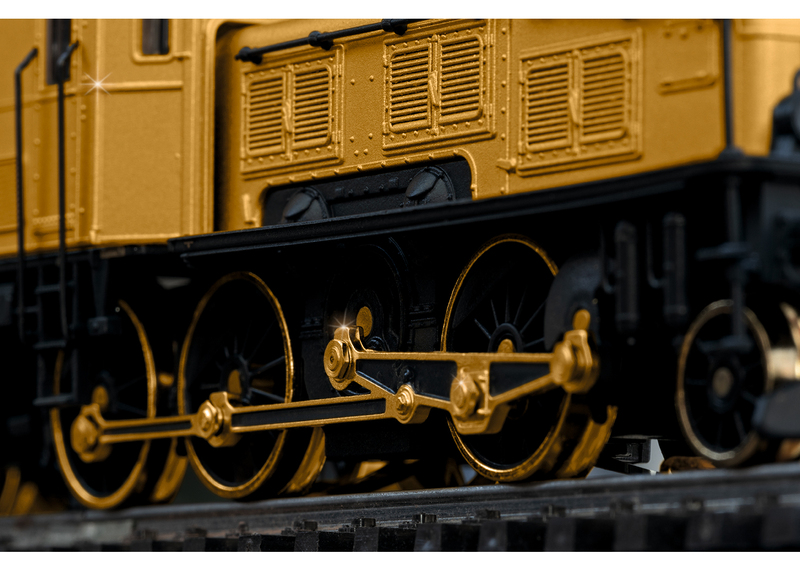 On this special model, we put particular emphasis on the idea that every action produces the right result: Our experts gold plate each element to be plated in five intricate work steps. 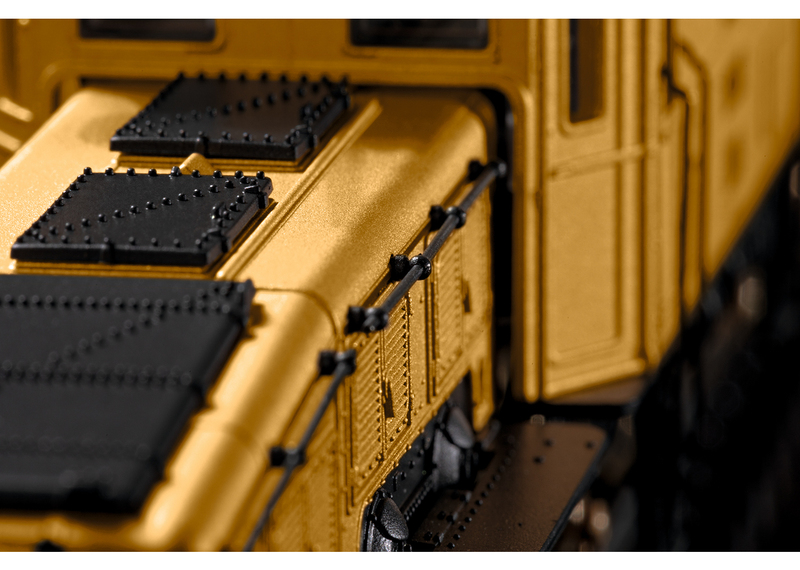 During the galvanizing process, the Crocodile is overlaid internally and externally with 24-carat gold. 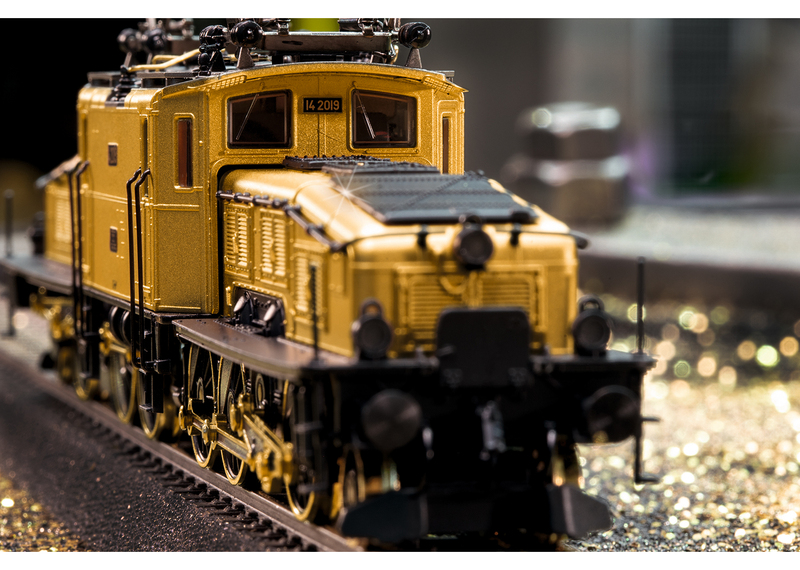 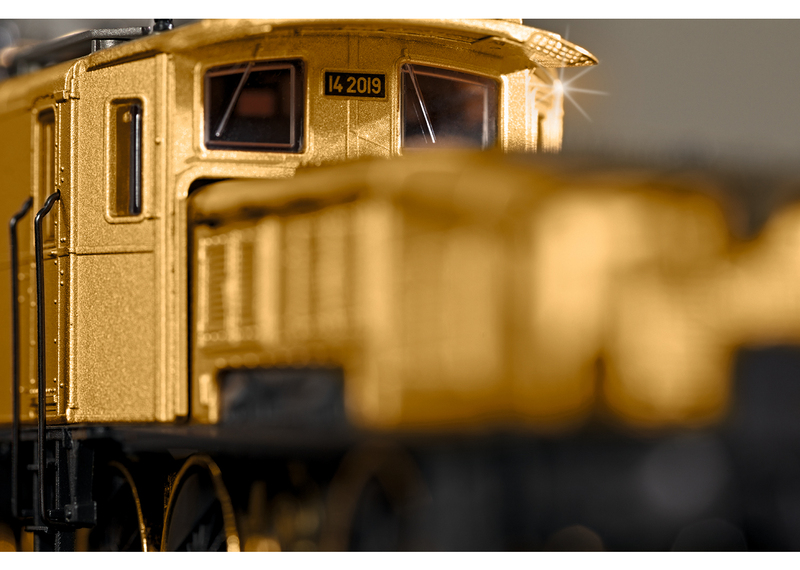 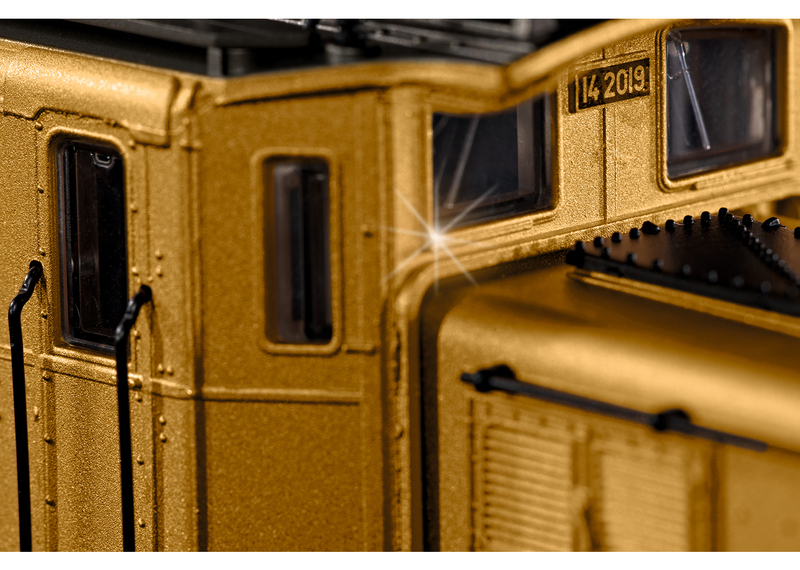 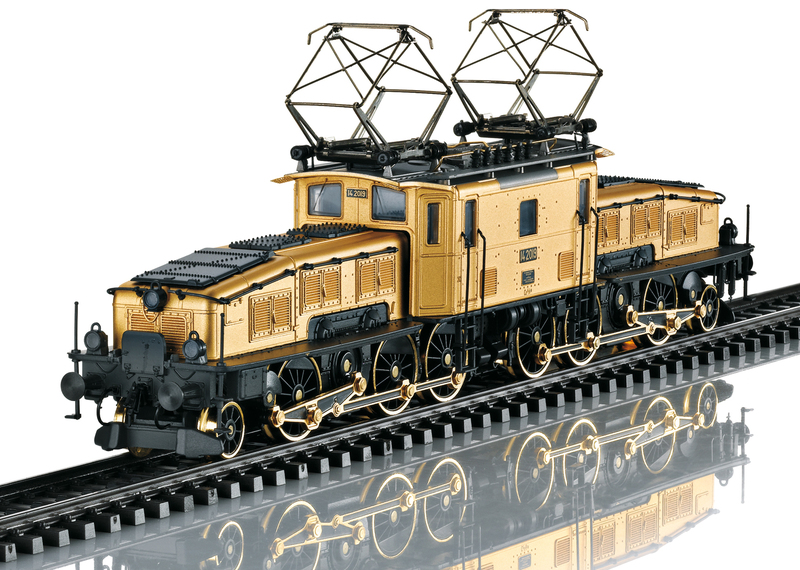 This model thus combines like no other the technical masterpiece and quality of the Märklin brand with the sensuality of gold.